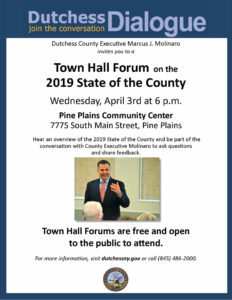 Dutchess County Executive Marc Molinaro invites all residents to attend his next Town Hall Forum in Pine Plains on Wednesday, April 3rd, starting at 6 p.m. Join us to hear more about Dutchess County Government’s priorities for the coming year as outlined in the County Executive’s 2019 State of the County address, ask questions and provide feedback on the issues important to you and your family. This event is free and open to the public. 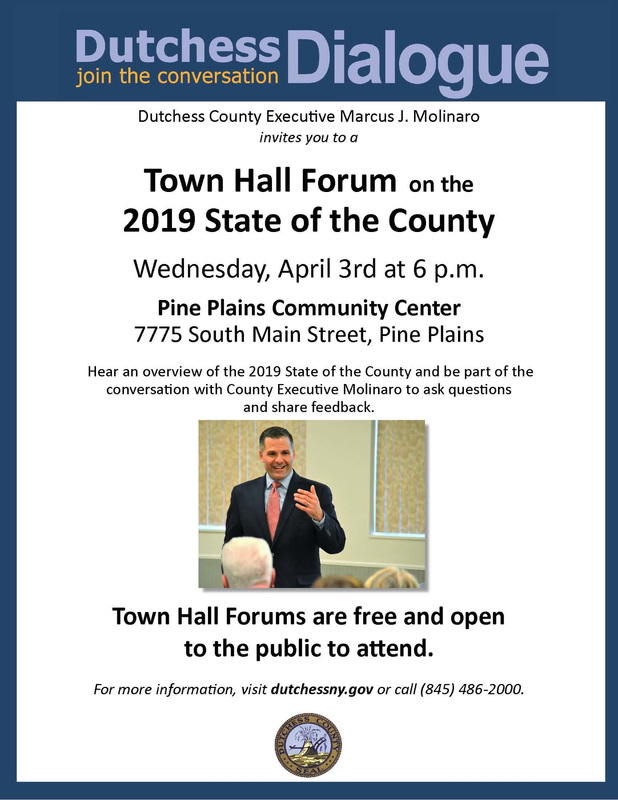 We hope you can attend!